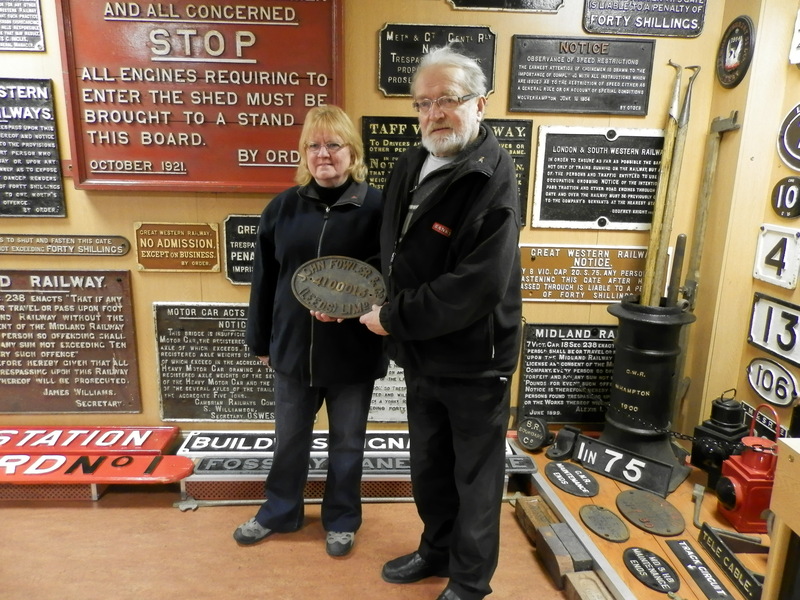 On Sunday March 17th, Mr and Mrs Fitton visited the Museum to Donate the original works plate for the Fowler locomotive resident at Chasewater. The locomotive, works No 4100013, was supplied new by Fowler’s from Leeds to Garringtons of Bromsgrove in 1948, where it worked shunting wagons from the factory, down to the goods yard at Bromsgrove Station. In March 1981 it moved to the Redditch Railway Society for preservation. The Society lost the use of the land in 1994, and the loco found a new home at Chasewater on April 23rd 1994. Redditch Railway Society was disbanded in June 1996. 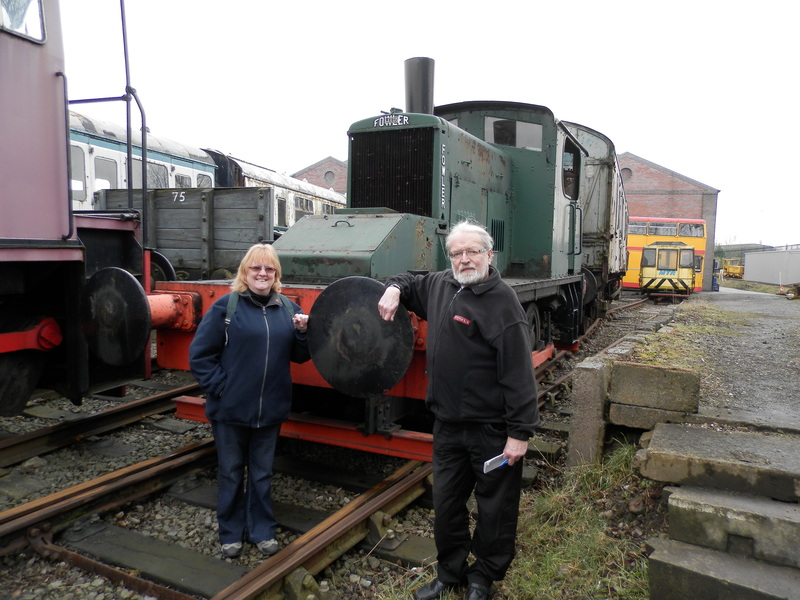 Mr and Mrs Fitton were re-united with the Locomotive on Sunday before they left Chasewater.